These images are from the museum at the St. Augustine abbey in Canterbury. 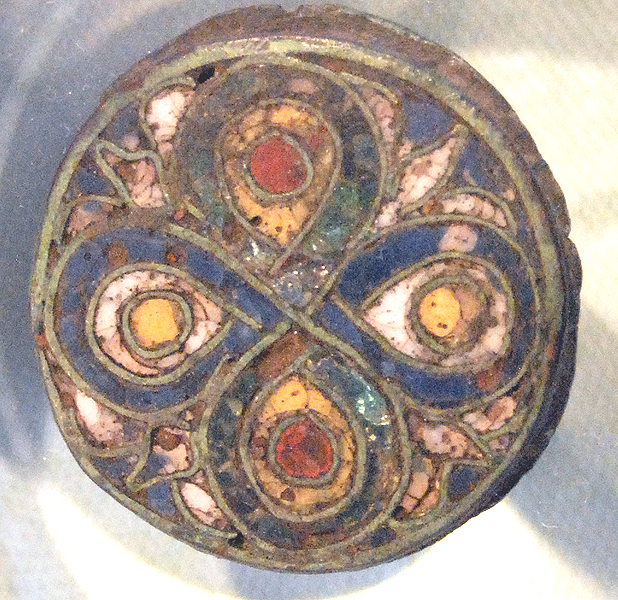 Anglo-Saxon brooch with glass inlays. 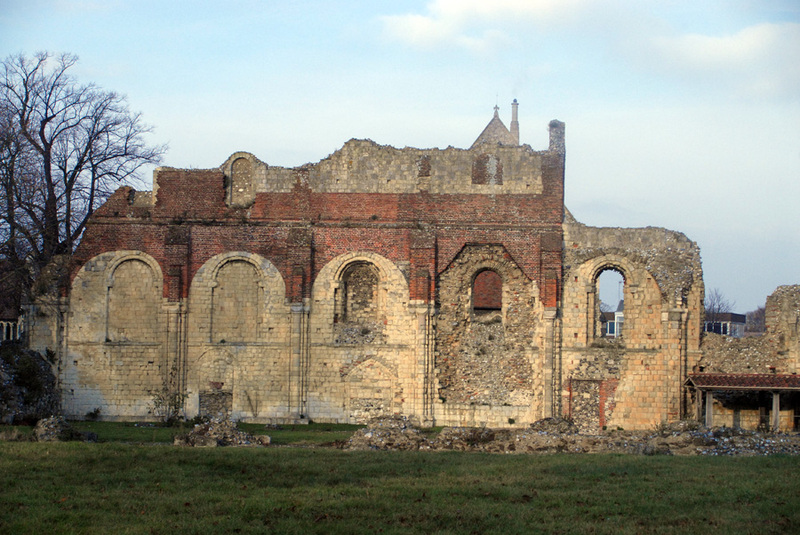 Ruins of the Augustine Abbey. 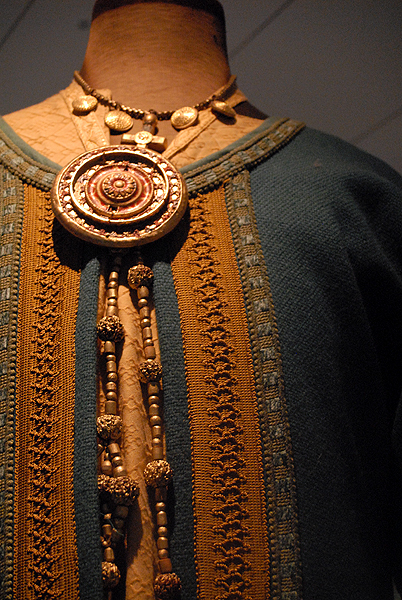 Reproduction Anglo-Saxon brooch and textile in the Augustine Abbey Museum. 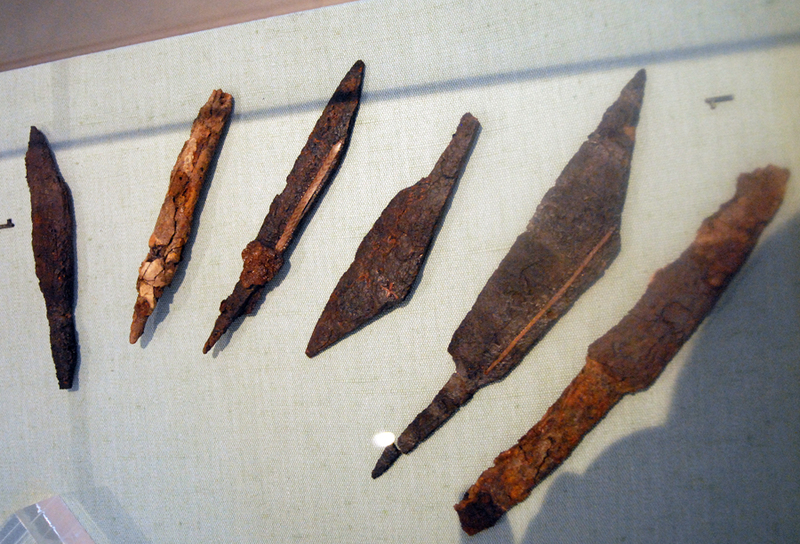 Iron knives from the 8th century. 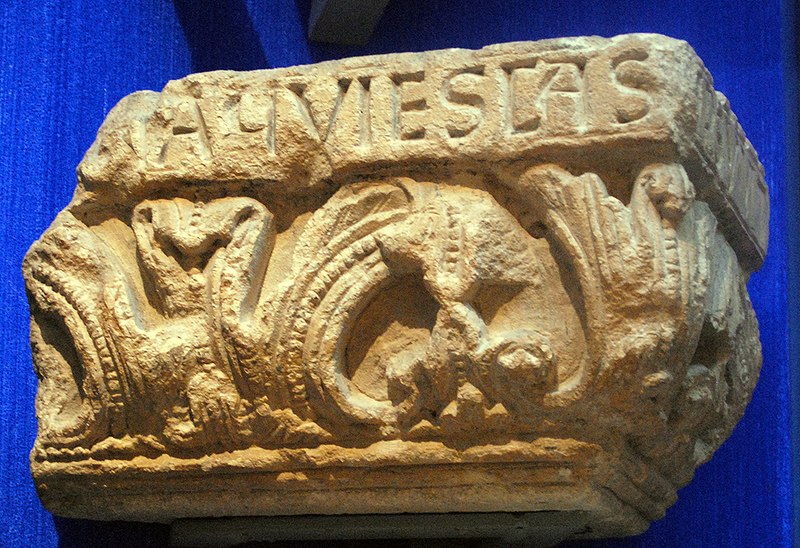 11th century (Late Anglo-Saxon - Early Norman) Latin inscription AQUIESCAS IPSVMT (Latin,...that thou may....). 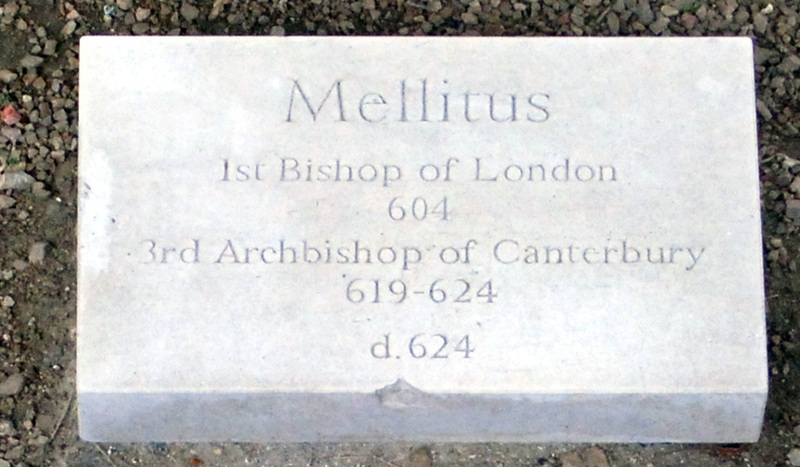 New inscription over the burial spot of Anglo-Saxon burial church official. New inscription over the burial spot of St. Augustine. 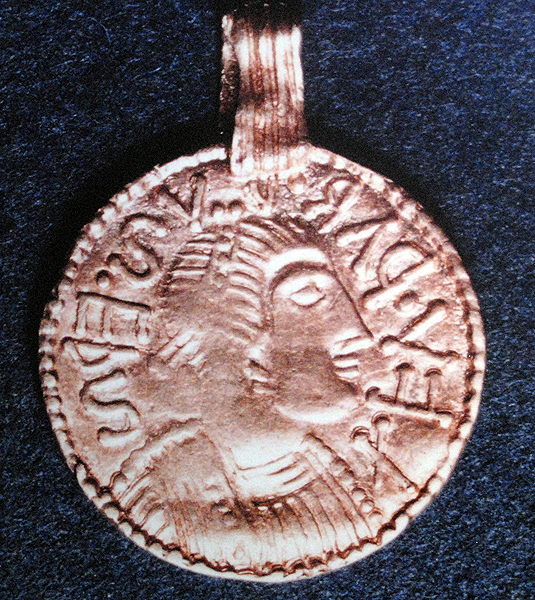 7th century Gold medallion of Liuhard rephotographed from a poster. 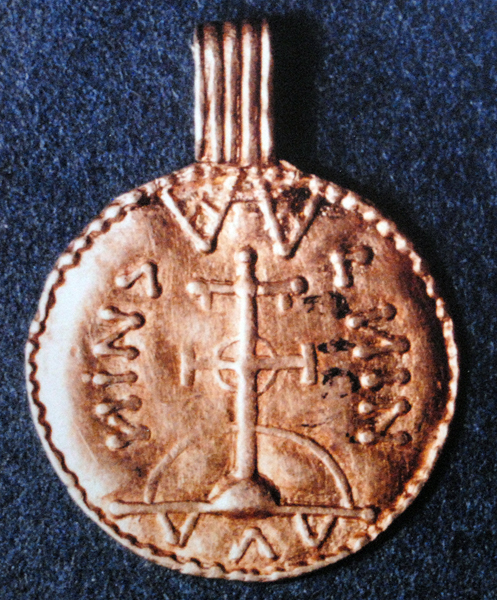 Original found at the abbey in the 19th century. 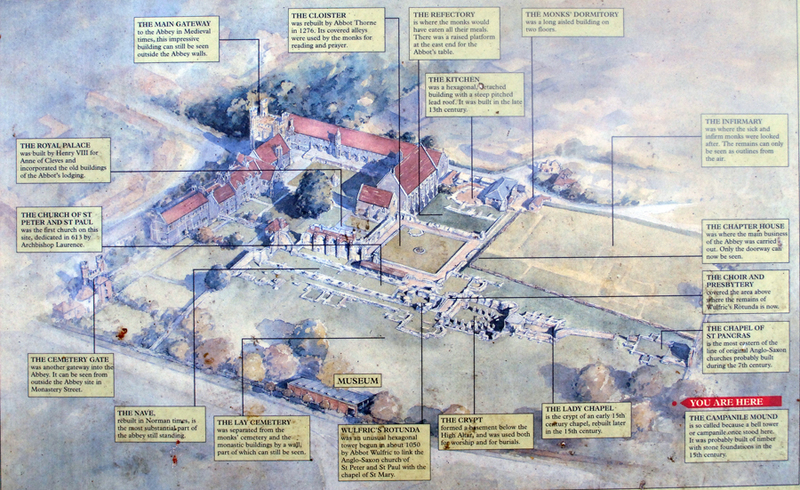 Plan of the ruins of St. Augustine's Abbey.